I covered the very low key launch of the Tesco Bank current account on Shopper Points last year. The original plan was to take it slowly and ensure that all of the systems were in place before ramping it up. I never imagined it would go so slowly, however. There has been no big promotion to get people to sign up, which has presumably seen those people unhappy with the big banks moving to M&S (£100 cash incentive) or First Direct (a similar £100 bribe) instead. 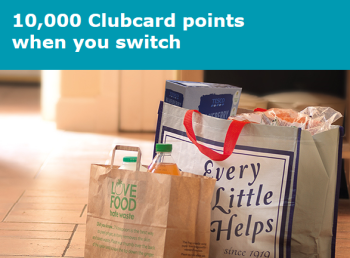 Yesterday, Tesco emailed a number of customers with an enticing 10,000 Clubcard points if you move over your banking. If you use the points in store, 10,000 is no better than taking £100 in cash from First Direct. If used cleverly for Clubcard Boost deals at 200% – 300% of face value, on the other hand, it is very generous. The offer that went out yesterday was strictly targeted and it was made clear than only named recipients would receive the bonus. I can’t give you a link to use, unfortunately. This is a positive sign, however. At some point Tesco Bank has to aggressively start courting new customers for its current account and hopefully they decide to keep 10,000 Clubcard points as the incentive. I’ll let you know as soon as I hear! If you want to know more about how the current account works – including how you earn Clubcard points – click on the link in the first paragraph to my older article.